Nine advocacy groups have called the Federal Trade Commission to investigate the break up of Facebook in light of its consumer data breaches, especially with Cambridge Analytica. The recommendation includes spinning off Instagram and WhatsApp. The letter urged the FTC to regulate Facebook like a utility given its size, position and influence in culture and society. 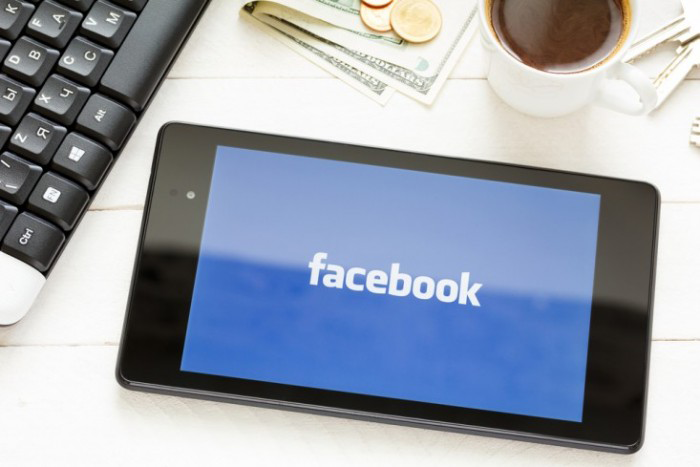 The letter from the advocacy groups come as the FTC is getting ready to levy a fine on Facebook for its breach of a 2011 consent decree relating to consumer privacy it made with regulators. Facebook’s lack of internal oversight has landed it in the crosshairs of advocacy groups that have asked the FTC to consider its break up. While a government ordered break up would be a drastic move, it is clear that the public and regulators are seeking redress from Facebook’s failures to safeguard consumer data. Fiserv announced the acquisition of CardLinx founding member First Data in an all stock deal worth $22 billion. The proposed deal is one of the largest acquisitions in the financial technology sector. 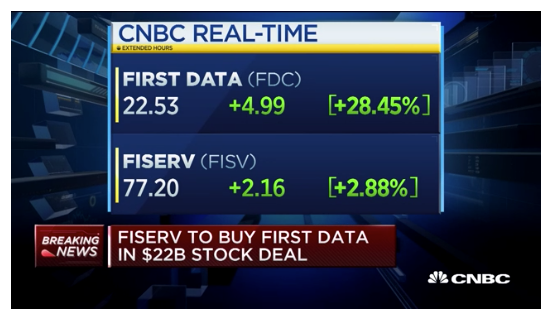 Fiserv offered 0.303 of its shares for each First Data share. Fiserv Chief Executive Officer Jeffery Yabuki will become CEO and chairman of the combined company. First Data’s CEO Frank Bisignano will become president and COO. The deal is expected to close in the second half of 2019. This major deal follows the trend of financial institutions merging to create market differentiation through an integrated platform to provide comprehensive financial services to clients and may be the opening salvo in a wave of consolidation for the fintech sector in 2019. Among payment processors, First Data is the leading merchant processor and Fiserv is a leading processor and software provider for banks. The newly formed company will be able to combine insights from merchants and banks to create new products and services that enhance the consumer’s retail purchasing experience while creating value for merchants and banks. Google was fined $57 million by the French data protection authority, known as CNIL, for violating the EU consumer data privacy regulation known as GDPR (General Data Protection Regulation) that was passed in May 2018. The fine against Google relates to improper disclosure to consumers on how their data is collected and used in personalized ads across Google’s services including their flagship search engine, Google Maps and YouTube. French authorities claim that with Google’s size and breadth of online services, its data collection process is massive and opaque to consumers. The latest fine by France’s CNIL is a direct hit at Google’s business model which uses consumer behavioral data across its products to present targeted ads. This is a clear signal by European regulators that they will punish companies that don’t comply with GDPR. The trend is clear: more regulations are on the horizon and only companies that are trusted by consumers will prosper in this new environment. This month, Apple CEO Tim Cook published an op-ed positioning Apple as a trusted company in the tech sector by supporting comprehensive federal consumer data protection laws in the US. This is among the first fintech casualties from the US-China trade dispute. Things could get back on track later this year, but the Chinese government may be signaling that it will be very deliberate about considering new foreign entrants into the coveted domestic Chinese payments industry. For CardLinx members, the key area to focus on for 2019 is cross-border payments with China not domestic Chinese payments and offers. Honda is the latest carmaker to launch an in-car platform at CES. This year Honda offered demos of Honda Dream Drive in the all-new 2019 Honda Passport at CES from January 8-11, 2019. This latest iteration of Honda Dream Drive includes expanded in-vehicle payment collaboration with Mastercard and PayPal. CardLinx previously reported on MasterCard’s partnership with GM and their in-car payment system OnStar powered by IBM’s Watson. According to the PYMNTS Digital Drive Report in-car commerce is a $230 billion industry, whether through the dashboard or smartphone. Honda Dream Drive is both voice-activated and touch-enabled, and for commerce options Honda has notable partners such as Grubhub, The Coffee Bean & Tea Leaf, Yelp, Chevron and others. In addition to in-car payments, Honda is also exploring a loyalty rewards program for using Dream Drive. Honda is creating the vehicle experience of the future, but it is not the only one. CardLinx member Dentsu in Japan is also exploring how in-car payments and marketing would work and look like in autonomous vehicles. While in Europe Mercedes Benz and Volkswagen purchased payments companies to keep up with the pace of in-car payments technology. With recent developments into in-car payments and partnerships, card-linking offers and loyalty benefits will find their way to consumers before the end of 2019. Dosh closed on a $40 million Series B financing round, consisting of $20 million in equity and $20 million in venture debt. The financing was led by Goodwater Capital and Western Technology Investment (WTI). PayPal was an investor in this round as well as the $44 million Series A funding round in April 2018. The financing will be used for product development, advance technical capabilities, and new staff. GetUpside teams up with BP to provide real-time, personalized offers to GetUpside app users allowing them to save money at BP and Amoco. The GetUpside consumer app uses real-time data to understand consumer purchase behaviors and offers personalized, cents-off-per-gallon savings at participating BP and Amoco stations across the U.S. GetUpside expects to double its growth in the gas station category and substantially expand the reach of its incremental profit platform. The program is set to launch in Spring 2019. Meniga announced their acquisition of Stockholm-based rewards platform, Wrapp. Wrapp’s 6 bank partners and over 350 brands in Sweden and Finland join Meniga’s 65 million digital banking users across 30 countries to create a formidable competitor in online-to-offline commerce.